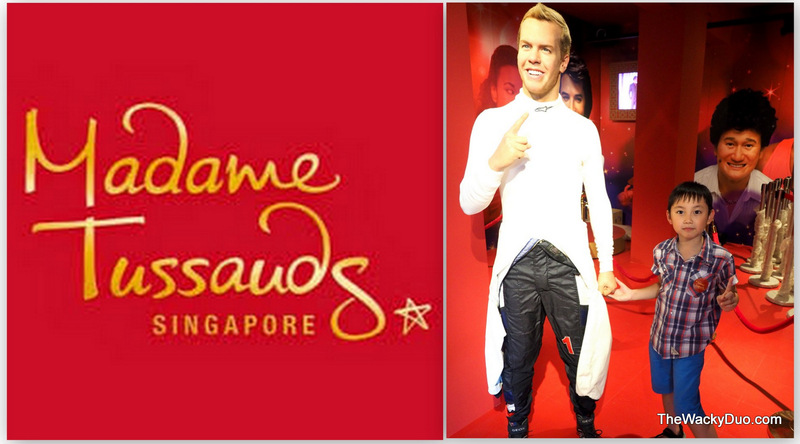 Madame Tussauds Singapore Comes Alive ! Another international attraction hits the shore of Sunny Singapore this weekend. The famed Madame Tussauds opens its 18th outlet on 25th October 2014. Located in Sentosa, this attraction brings you closer to famous personalities from all over the world ! To say we are fans of Madame Tussauds is an understatement. This will be our 4th Madame Tussauds we had visited . 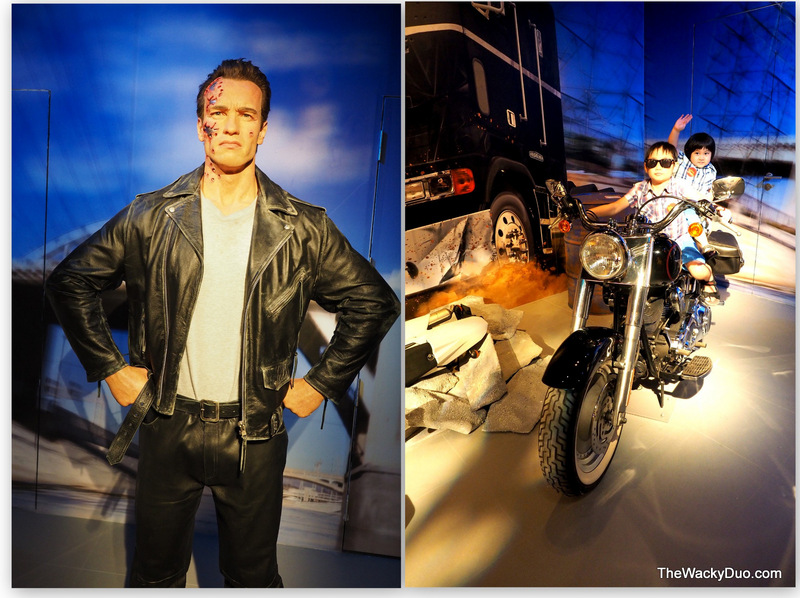 The first experience was at Madame Tussauds London back in 2002 sans the kids. This was followed by visits with the family to the Sydney and Tokyo. Thus it is safe to say we are veterans when it comes to Madame Tussauds. Madame Tussauds is located on Sentosa , Imbiah Lookout. Access can be made via Cable Car , Sentosa Express to Imbiah Station, car or foot. Founded in 1835, Madame Tussauds is one of the world's oldest attraction featuring waxworks of famous personalities both past and current. The attraction boost the most detailed waxwork you could create. Madame Tussauds features 60 iconic wax figures each costing a hefty $300,000 to make.Despite its price tag, the museum is an immersive interactive attraction that invites visitors to get up close with the wax figures. There are no barriers and get are encourage to pose as they wish with the figures. This is the place to be for star stuck fans who want a to snap a photo with their favourite stars. Each wax figures is created with a team of 20 studio artist with 250 precise measurements of head and body. The end result a wax figure that looks so lifelike that you could almost think it will come alive any minute! Just check out Sebastian Vettel teeth and moustache above. Even Big C had mistaken him for a real person while we were there. 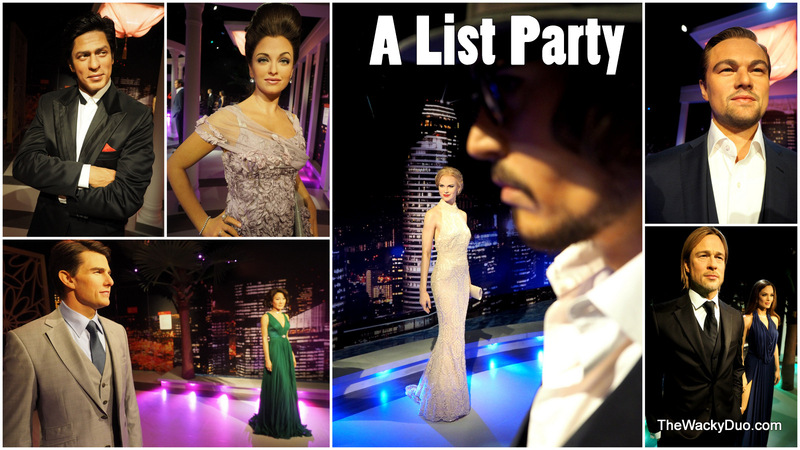 There are 9 stations to explore at Madame Tussauds, let's take a peek at each of them . This is the only Madame Tussauds attraction to have a boat ride. ' Spirit of Singapore' will take you through a voyage celebrating everything iconic about Singapore from the F1 race to the Botanical Gardens. It is one ride we would love to be in, however during the preview, it was close for maintenance. No worries, we are sure to be back again for this three and half minute ride. The first wax gallery we come across it the LEADERS gallery. You will be greeted by our first president Yusof Bin Ishak. Further in, you will flank by Obama, Soekarno, Mao Zedong, Gandhi, Nelson Mandela , the Queen and more. There was one wax figure we would love to see here but is missing during the preview. 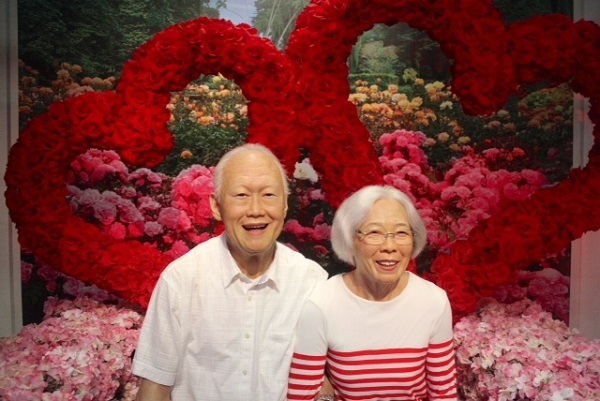 Mr Lee Kuan Yew and Mrs Lee will be unveiled during the grand opening. From the pictures from Channelnewsasia , it is a worthy addition to Madame Tussauds. Fans of soccer stars Beckham, Ronaldo and even Fandi would love this section. Since I am a soccer fan, this is my favourite spot of the museum. Visitors are invited to have workouts with the stars. Do sit ups with Beckham, have a swing with Tiger Woods, swing a bat with Feng Tianwei or get in the ring with the greatest boxer of all Muhammad Ali. We love that local stars and celebrities are also featured in Madame Tussads. Say hi to a youthful Fandi Ahmad! Smack in the middle of the attraction is the Authentic History gallery. Find out about the history of Madame Tussauds and how a wax figure is made. Next up we met Huang Wen Yong at the TV Studio. 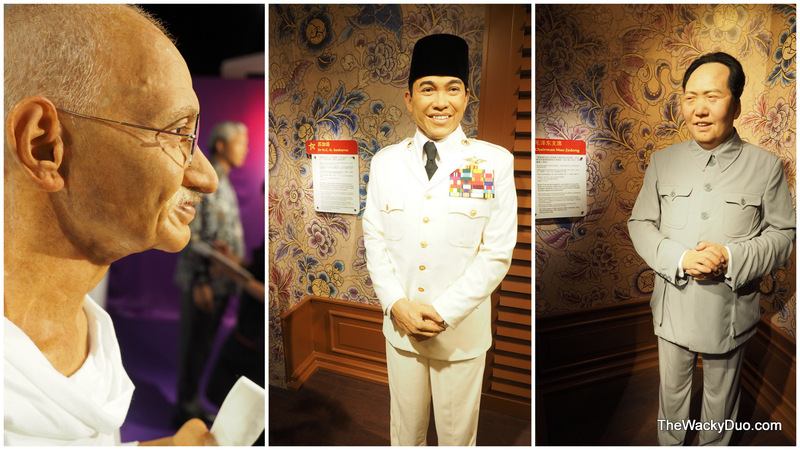 It is nice of Madame Tussauds to create a wax figure of Singapore Grand Daddy of Chinese Serial Shows. Cadecott Queen Zoe Tay will make her appearance too. And it you cannot get enough of Phua Chu Kang with his enormous mole and yellow construction boots on TV , you can now strike a pose with him wearing your own pair of yellow boots.Props are found around the museum to enhance a photo experience. Do feel free to use them to add more oomph to the photo. International TV Star Oprah is ready to interview you too! This is the gallery for music lovers. Global Superstars from the past and present gather together in a room to wow you . Do the moonwalk with Michael, sing with Kathy, serenade with 'The King' Elvis, grove with Beyoncé, hip hop with Jay Chou, go gaga with Lady gaga. The fun is limitless here. Fulfil your wildest dreams to sing with the Superstars! My personal favourites would be the sweet Teresa Teng and our very own local superstar Stephanie Sun. This is probably the spot where the Wackies recognized the most personalities. Ok,probably not all of them.Older folks like me would recognise Marilyn Monroe and would probably love to have Breakfast at Tiffany with Audrey Hepburn. The younger ones have no problem identify the Terminator. Since Ah Boys to Men and Lion men are their favourite local movies, they are no stranger to Jack Neo, our extremely talented local director. Being boisterous boys, they are fans of Kung Fu as well. Bruce Lee and Jackie are considered as buddies in their books. Last but not least, they met up with ET and decided to give him a ride home. 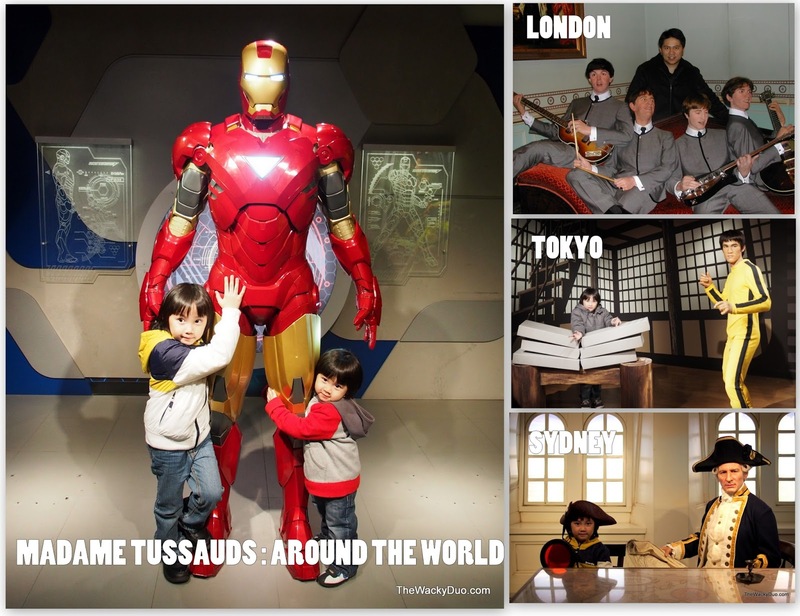 Compared to other Madame Tussauds, the main wax figures we missed are the Superheros! We had come across Wolverine and Spiderman at other Madame Tussauds. Secretly we had hope they had Hulk in the FILM section. Given that more wax figures will be added in the future, we can only cross our fingers. At the end of the journey, get ready to Party with A List stars such as Brad Pitt, Angelina Jolie, Leonardo Dicaprio, Johnny Depp, Tom Cruise, Michelle Yeow, Nicole Kidman , Aishwarya Rai amongst others. With so many stars, it is hard to find a favourite one. The Wackies had their sight locked on Nicole Kidman and process to serenade her with their Grade 1 piano skills. Did I mention the wax figures are realistic? It is so lifelike, that you can even read off the tattoo of Angelina Jolie. 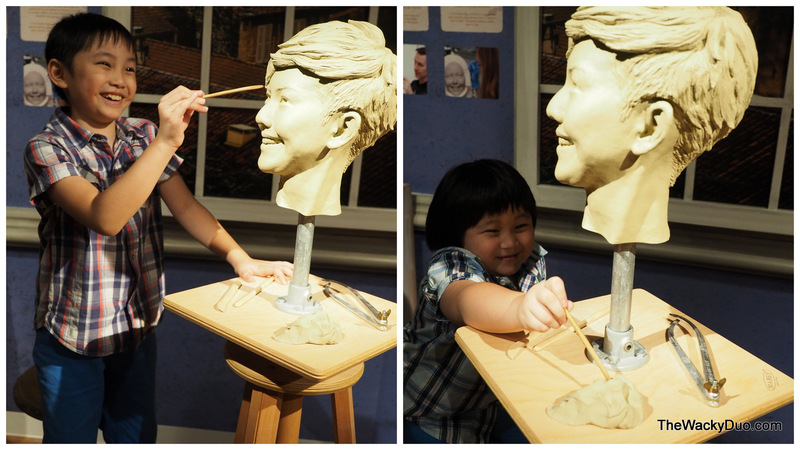 Compared to the other Madame Tussauds, the one in Singapore seem to have the most realistic features. Given that this is a 100% barrier free exhibit, expect to see a huge crowd zooming in on their favourite stars. Being a new attraction, it will not be surprise to see locals and tourists flocking to Madame Tussauds during the early days. Go during weekdays where crowd should be lesser. As for our verdict. We give this attraction a thumbs up. With the added bonus of Spirit of Singapore Boat ride, Madame Tussauds will be a sure hit in town. After all who can say no to posing with their favourite stars? Before you leave , don't forget to pick up your souvenirs from the Gift Shop. From soft toys to Oscars trophies, I reckon that there will be an item of interest to take home with. Don't forget to pay for your purchase, else you will face the wrath of a 'Die Hard ' Bruce Willis at the exit.